Spring is in the air (finally) and with it comes gatherings with friends, Easter, barbecues and the like. I’m often invited to parties with friends where they are partaking in a few cocktails. 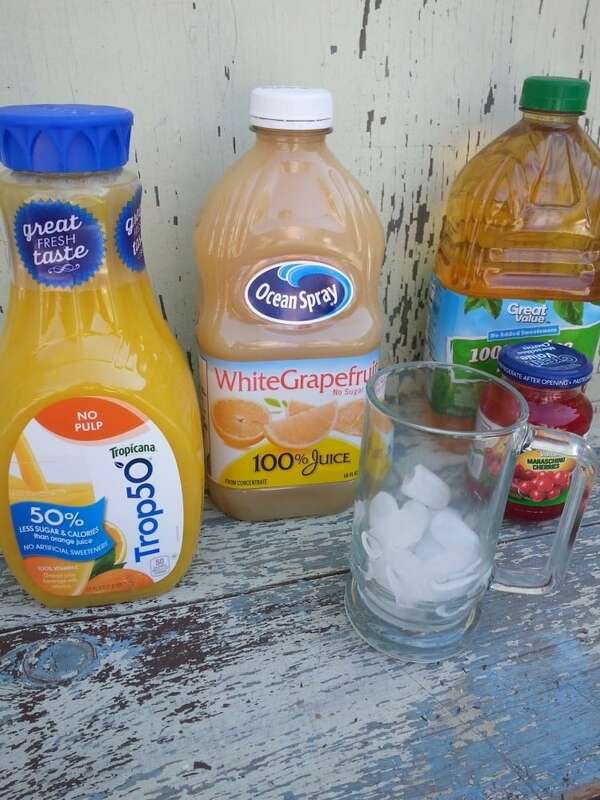 I don’t drink alcohol, and I have many friends that don’t as well, so when I’m invited to a party like this, I often like to bring my own “mocktail” recipe that is perfect for kids or adults. On a side note…isn’t the word “mocktail” hilarious? It always cracks me up! I received a Magic Chef Portable Ice Maker in exchange for this post. All opinions are my own. Mix these up by the glass. It’s super fun to add an orange slice to the glass. 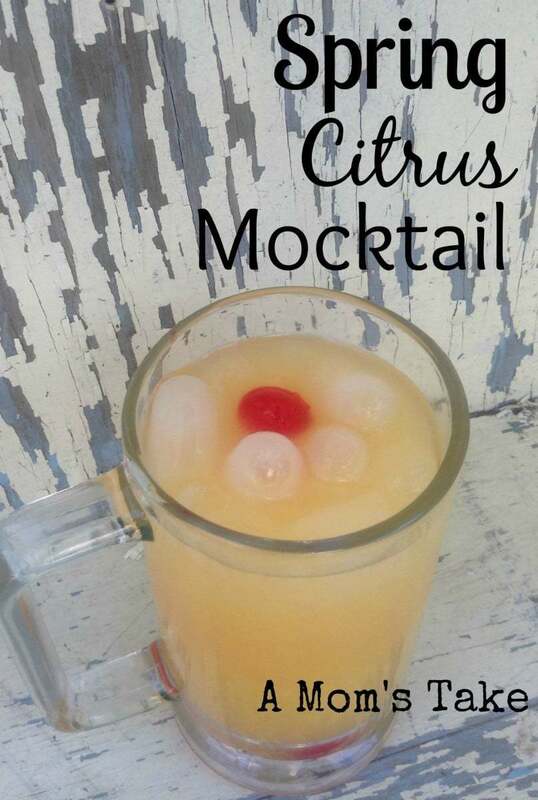 This Spring citrus mocktail Recipe will be perfect by the pool or even served with breakfast. Add ice to glass. Add orange juice, grapefruit juice and apple juice. Stir. Garnish with a maraschino cherry (or several if your kids love them like mine do). You really can eyeball the measurements. The key is to use less or more grapefruit juice depending on how tart you like it. I also tend to use juices with no added sugar, so that also tends to make it less sweet. You may also notice, at a party, the ice seems to go super fast. Your freezer ice machine only goes so far, and then your running to the store for more ice. One of the coolest solutions I’ve found for this situation is a Magic Chef Portable Ice Maker. The Magic Chef Portable Ice Maker plug into a regular outlet anywhere, add water to the tank and you can have ice in as little as 7 minutes. With 2 sizes of ice to choose from and a handy ice scooper you are ready to party. 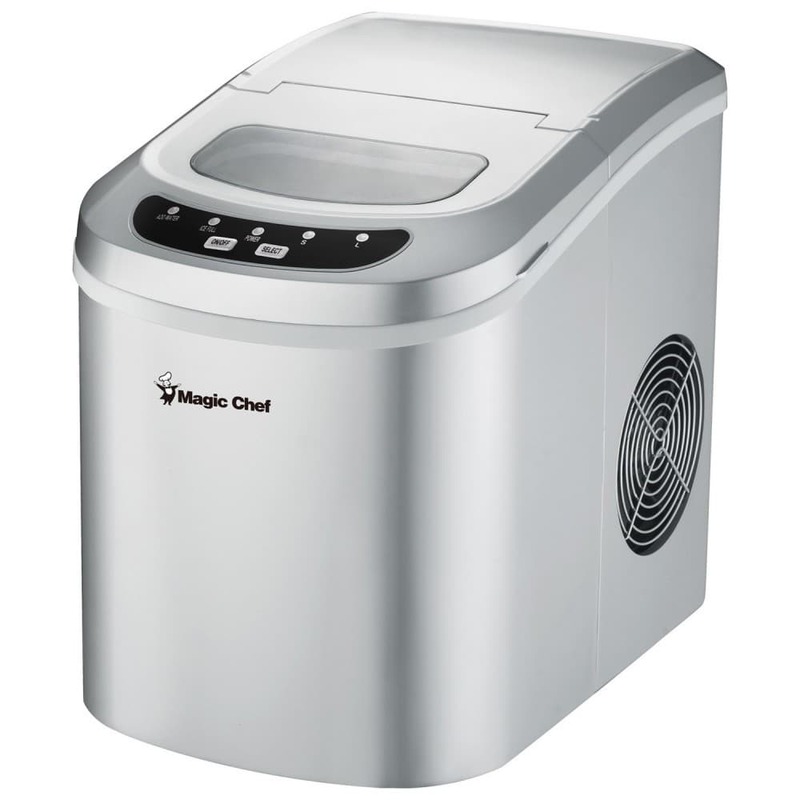 The Magic Chef Portable Ice Maker can make 27lbs of ice per day. We use a ton of ice at our house, it’s Arizona! It always seems like it’s dry and hot and nothing hits the spot like an ice cold beverage. 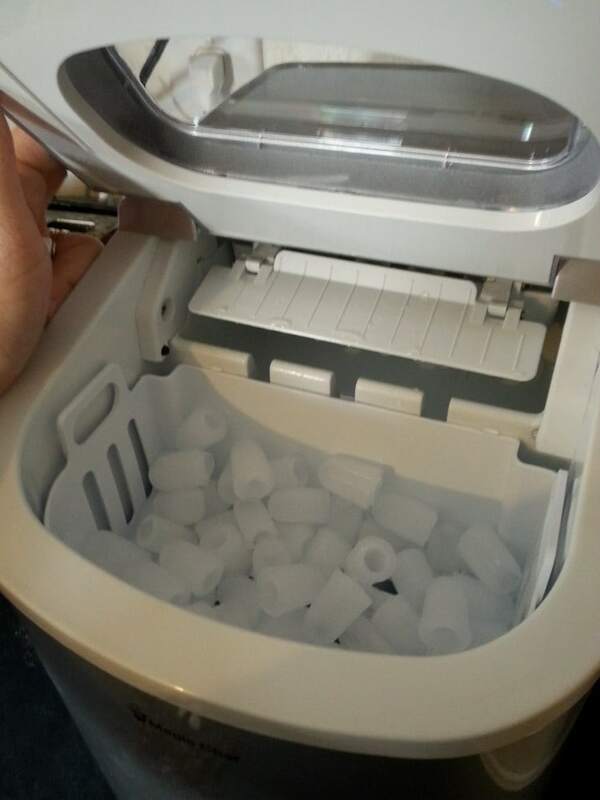 The Magic Chef Portable Ice Maker was super easy to set up. Once it started working I was surprise that it wasn’t loud at all. It has a gentle humming noise as it works. We love the small ice, it makes these really cool rounded ice cubes with a little hole, just right for a little finger to fit into. You can pick up a Magic Chef Portable Ice Maker at Magic Chef’s website or at other retails such as Wal-Mart. A portable ice maker would be a great wedding gift or even housewarming gift for someone that loves to entertain! Great! I loved the idea! This looks so refreshing! And that portable ice maker looks cool, I need to have that one. Haha! Have you tried doing mocktails with other fruits? What’s your favorite combination? My favorite mocktail is the Shirley Temple. This recipe sounds so good and I love the potable ice maker. I love Cherries in my drinks, and I like a Orange and Sprite Spriter on ice. It is very refreshing! what a yummy and refreshing drink. I will have to make this. That sounds really good.And I love your cool ice maker! Nice recipe out there and i will try this one for sure and thanks for sharing. I love the idea of the non-alcohol drinks!! 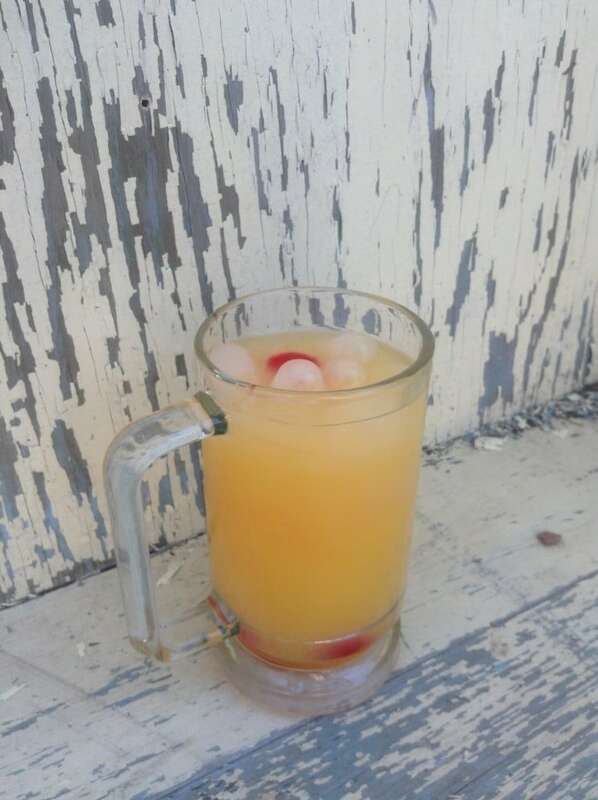 What a yummy mocktail to start off spring with, I have been enjoying my patio lately and loving the nice weather, this is perfect for me time.